Template type : 1 Sidebar, 2 Column, Adapted from WordPress, Elegant, Featured Section, Fixed width, Fresh, Green, Grey, Header Banner, Magazine, Premium, Right Sidebar, Slider, Tabbed widget, Top Navigation Bar, Web 2.0, White and more. 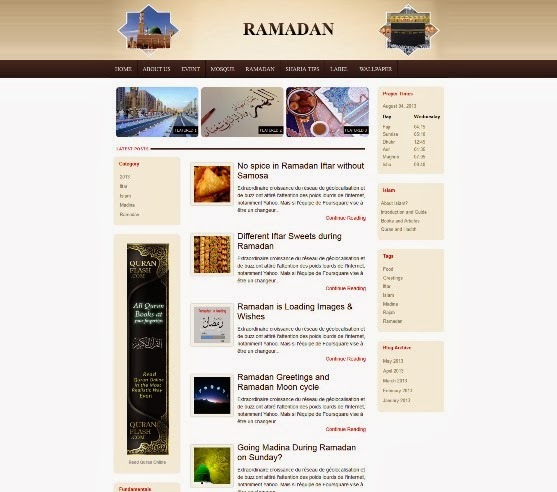 The holy month Ramadan is here so why not publishing it’s special theme ‘Religious Blogger Template’ for any one who thinks his/her blog owns something very special that contains material and such stuff that really inspire some one’s life to a great extent. 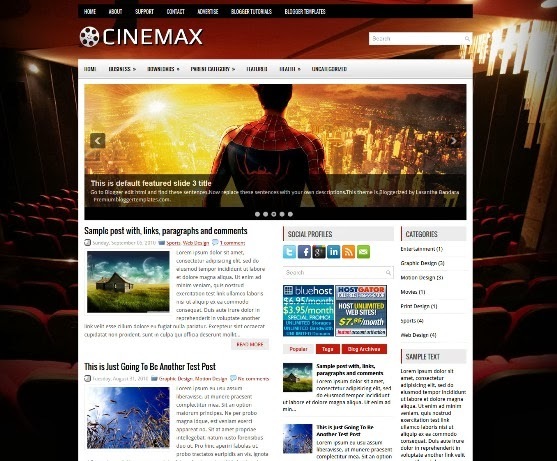 “Cinemax” is a free blogger template for Movies and Games. Features such as 2 Sidebar, 3 Column, 3 Column footer, Adapted from WordPress, Fixed width, Right Sidebar, Slider, Tabbed widget, Top Navigation Bar and more. 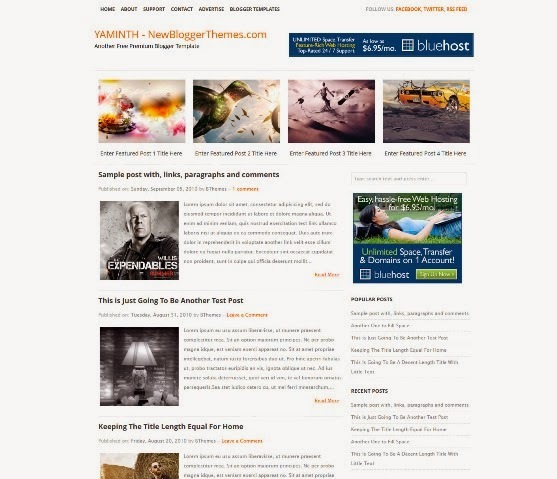 1 Sidebar, 2 Columns, 3 Column Footer, Adapted from WordPress, Black, Elegant, Featured Section, Fixed width, Fresh, Header Banner, Magazine, Orange, Right Sidebar and Top Navigation Bar. 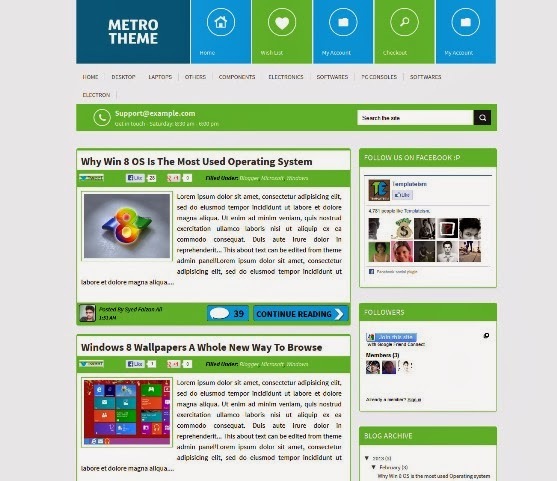 Metro UI is an innovative Windows 8 Style Blogger Template. This theme has a lot of similarities with the Microsoft’s latest operating system Windows 8. 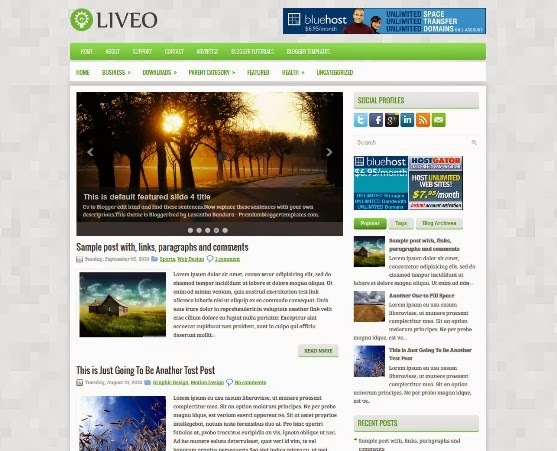 This template is ideal for blogging niche like technology, multimedia, entertainment, magazine, and etc. 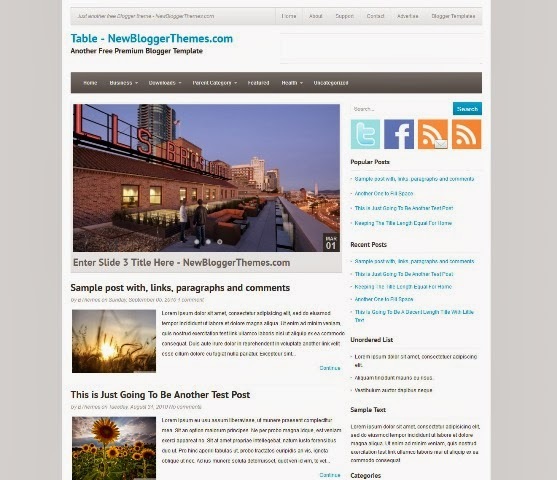 1 Sidebar, 2 Columns, Adapted from WordPress, Blue, Elegant, Featured Section, Fixed width, Fresh, Grey, Header Banner, Magazine, Right Sidebar and Slider. 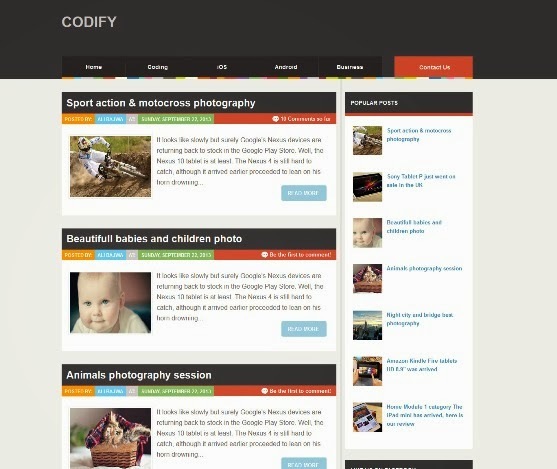 Cody is a responsive magazine style blogger template. Theme Features are Image Slider, 4 Column Footer Area, Social Share Widget, Css And HTML Base Menu With Drop down and more. 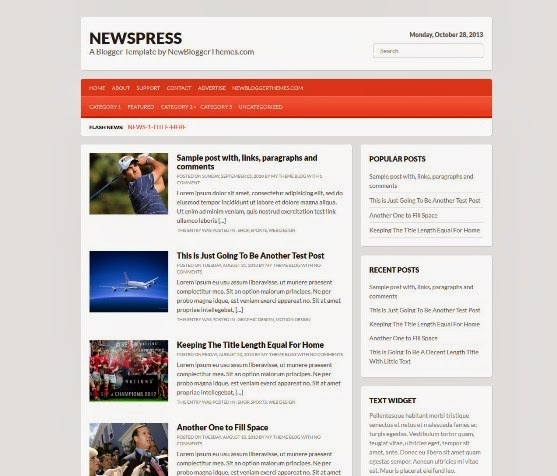 Newspress is a free blogger template for News & Magazine. Features: 1 Sidebar, 2 Columns, 3 Column Footer, Adapted from WordPress, Fixed width, Fresh, Minimalist, Red, Right Sidebar, Top Navigation Bar and more. 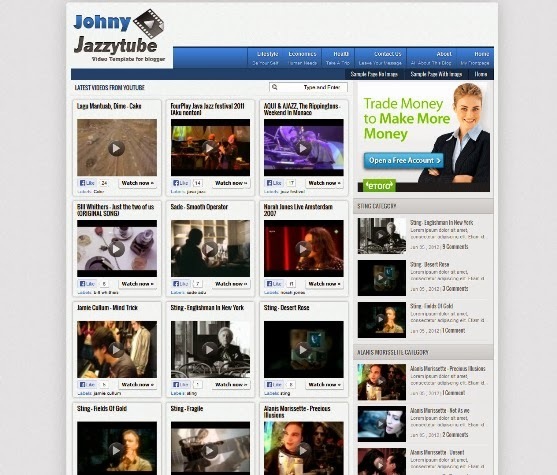 Johny Jazzytube was made for video content only from Youtube. There’s no specific feature in this template. It’s a white, black and blue color with 4 column blogger in there, easy loading and SEO friendly with elegant looks, 1 right sidebar, 3 columns footer, navigation menu, ads ready, pagination for blogger ready, clean design template and more.